Features H.D.T. (Heat-pipe direct touch) technology. 3pcs high performance U type heat-pipe. High performance & easy installation. 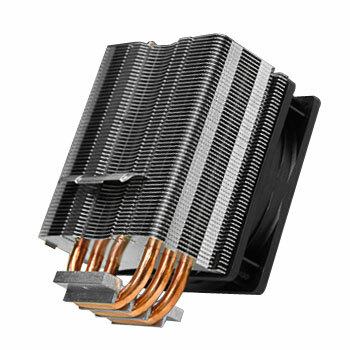 120mm highly efficient PWM fan. 3 in 1 application: LGA775 push-pin/K8 & AM2 tool-less clip.